Sharp Technics K is a Joint Venture company with EastarJet and Tway Air from Korea. Sharp Technics is one of the leading providers of aircraft Maintenance, Repair and Overhaul (MRO) services in Korea. The hangar consists two bays for Narrow-body aircraft or one bay for Wide-body aircraft with total floor area of 12,374 m², building area of ​​7,108 m². 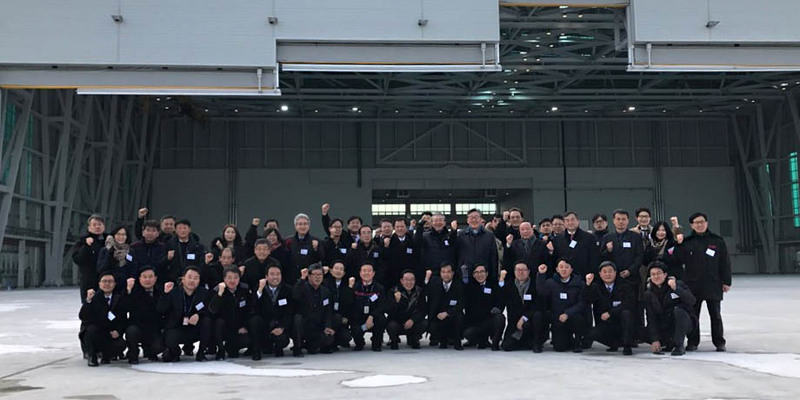 The hangar opened its doors on January 2017 at Incheon International Airport maintenance facility area. The ceremony of end of the year’s business on December 30, 2016.